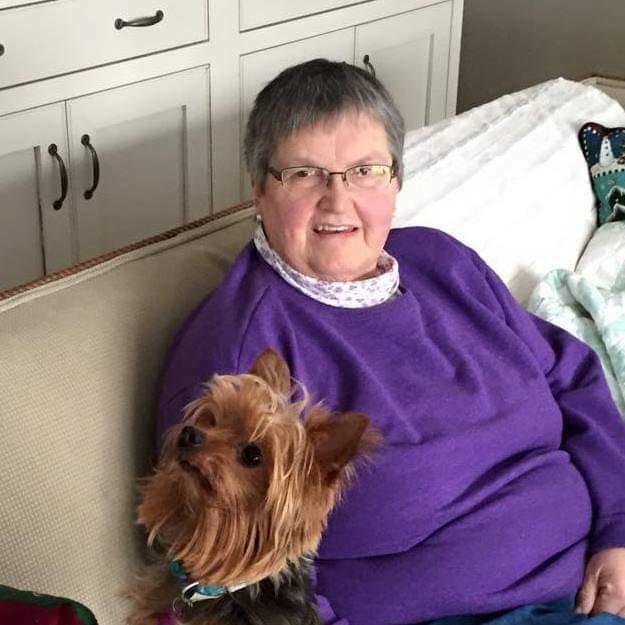 Janice Elaine (Bell) Schuch of Saginaw passed away at her home with her family by her side on November 23. She was 66 years old. She was born in Cadillac to Alfred T. and Margaret (Elenbaas) Bell on April 21, 1952. She married Wayne Victor Schuch on May 11, 1996 at Frankenmuth. She graduate from the McBain Rural Agricultural School in 1972 and went on to get a degree in dietary management where she put it into practice working at the Luther Manor in Saginaw where she retired from. She had worked atMitchell Bentley in Cadillac for over 20 years. She was a member of the Frankenmuth United Methodist Church. She enjoyed crafts and craft shows, she loved to crochet. She made many afghans for her nephews and nieces. She enjoyed working in her garden and flower garden and enjoyed entertaining in her home for family and friends. Janice is survived by her husband, Wayne Victor Schuch of Saginaw. She was a devoted and loving Aunt to Matthew (Daniella) Bell of McBain, Michael (Sara) Bell of Farwell, and Monica Wieferich of Farwell. She has a sister, Betty Bell of McBain and a sister in law, Jane Bell of Farwell. Surviving great nephews and great nieces are Michayla Bell of McBain, Evalynne and Easton Bell of Farwell, Bryce, Brooklyn and Brielle Wieferich of Farwell. Her surviving inlaws are Chuck (Chris) Schuch, Ralph Schuch, Nancy (Joe) Reminch of Saginaw, Julie (Jack) Yeck of Muskegon, and Ann (Mike) Bauer of Saginaw. Also, she has many cousins and friends also surviving. She was preceded in death by her parents, brother, Robert Bell and many aunts and uncles.